Cyrus posted a Twitter poll asking even without a manual Google penalty, bad/toxic/manipulative backlinks can (a) are 100% ignored, (b) can damage your rankings and (c) can't hurt, might help!. 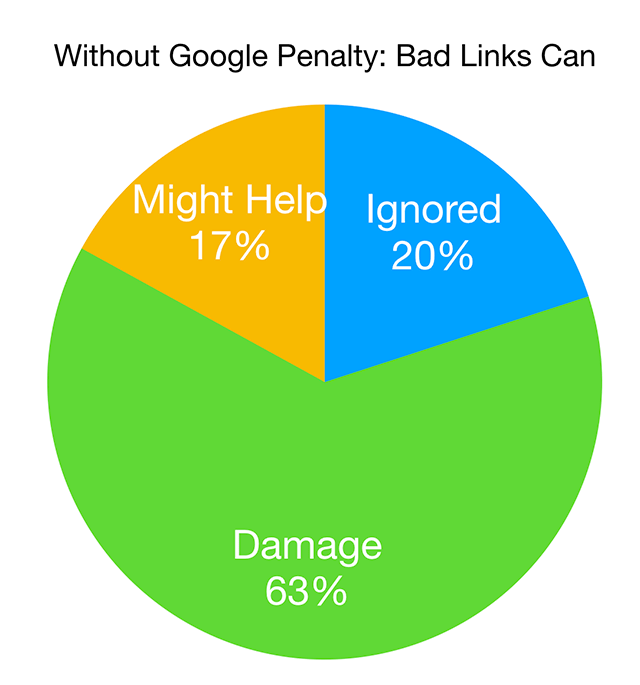 The results said most people think it can damage your Google rankings. This does seem obvious but with Penguin devaluing vs demoting - you don't have to worry about that link algorithm necessarily having a negative impact but there are other algorithms out there.